‘Since I had my last back operation and returned, I think they’ve come to see what this game means to me,’ said the 43 year old. ‘Before then, they didn’t like golf much because, as far as they were concerned, they associated it with their daddy being in pain. But this was great. I’ve said many times I wanted to win a major with them present, and it was fantastic to have them there. 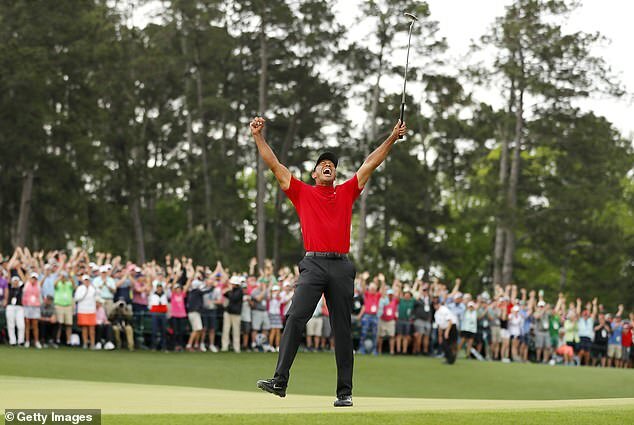 Woods’s astonishing victory by one stroke – his fifth Masters win but first since 2005 – rendered his miraculous recovery from back surgery complete and was greeted with rapture in the golf world. 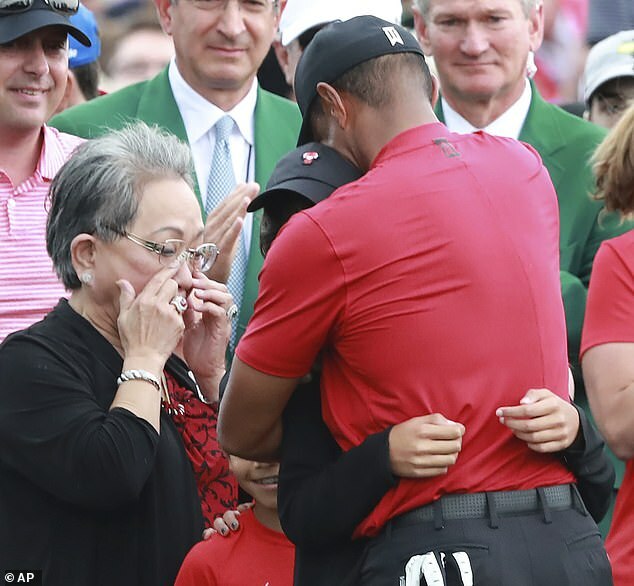 Jack Nicklaus was among the first to congratulate Woods, after the latter moved to within three majors of the Golden Bear’s all-time leading total of 18. Nicklaus had been bone fishing in the Bahamas but made sure he found land in time to watch the final few holes. ‘I’d just like to say a big well done from me,’ said the man whose lifetime achievements Tiger posted on his wall when growing up. ‘I’m so happy for Tiger and the entire game. 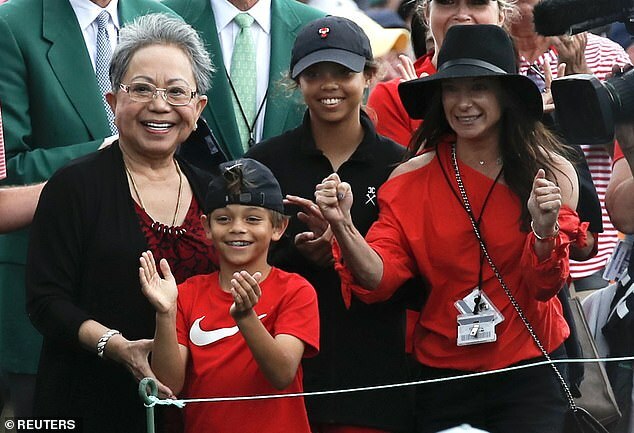 It’s just fantastic for golf and all of sport.’ Commenting for American television, three-time Masters champion Sir Nick Faldo said the scene of pure joy around the 18th green was the best he had ever seen in his long career in the game. ‘There’s just such an outpouring of emotion from everyone because for so long we never thought we’d see him win another major,’ he said. 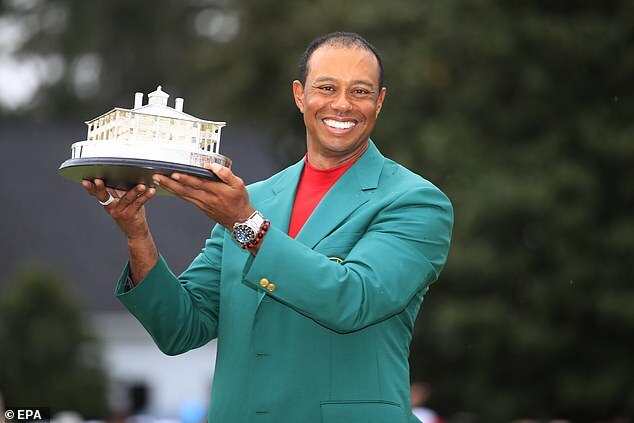 Woods will now take a break before training his sights on the US PGA Championship at Bethpage next month – a venue where he just happened to win the US Open in 2002.